Ten horsepower, single cylinder vertical motor. Speed up to 27 miles per hour, gearless variable clutch providing eight speeds forward and reverse, white ash wood axles and frame. Wheelbase 74″, weight 800 lbs. Original Selling Price: $600. A Brush Runabout finished the 2636 mile 1909 Glidden Tour, climbed Pike’s Peak and crossed the American continent handily. 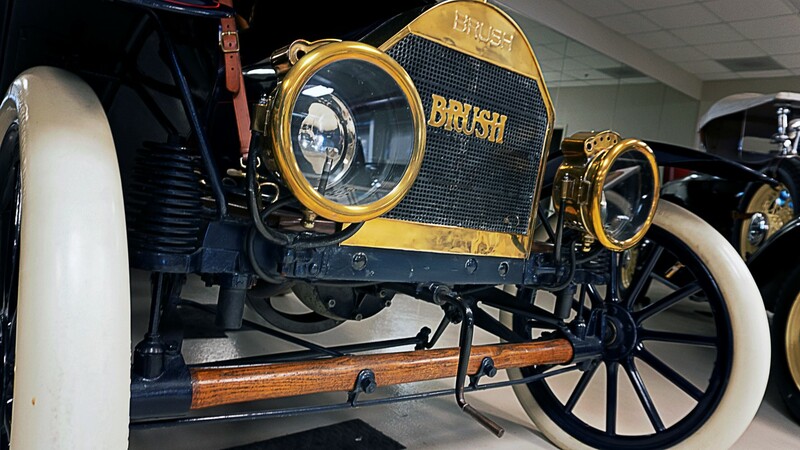 The car was changed little during its brief life because its designer, Alanson P. Brush, believed he had reached “Perfection” in motor car construction. This pretty little car, with its jaunty looks and polished brass, is from the James and Carolyn Poe collection, Lexington, Kentucky. Hi, I do think this is a great web site. I stumbledupon it 😉 I may come back yet again since i have bookmarked it. Money and freedom is the best way to change, may you be rich and continue to help others. still available for $600. dollares ? 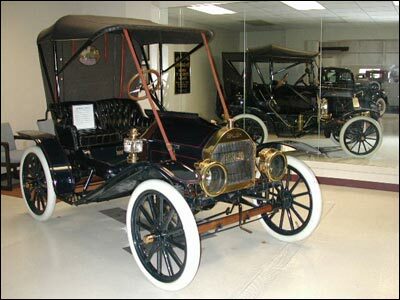 Sorry RES that vehicle is not for sale and the original selling price in 1910 came to $600.00. The description is for informational purposes.